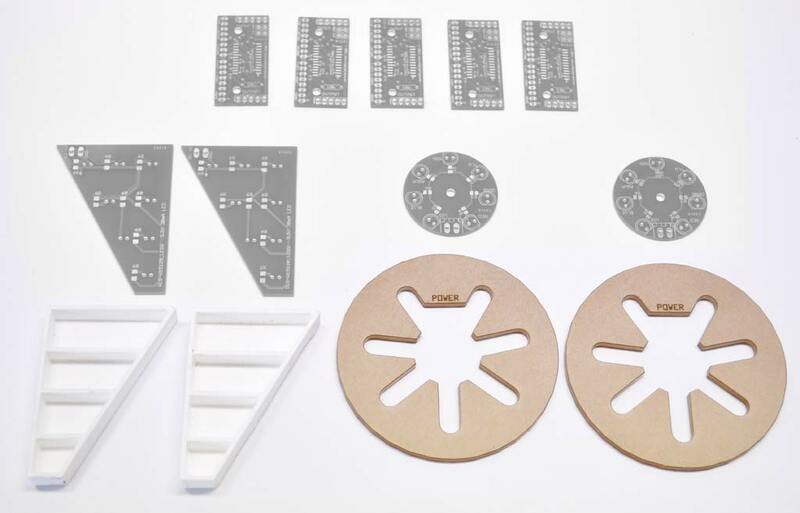 So maybe you’ve already got your circuitboards and helmet and everything else sorted out, but you just need a few little frames and ear light discs to call your project done. This item includes only the triangular visor corner LED holders and the clear laser-cut acrylic ear light discs to house your circuitry. This item does not come with any electronic boards, you’re just getting the housings. If you’re after the board files too, check out this listing for the full kit. Ear light discs are 3.15″ in diameter, 3/16″ thickness. Triangular housings will fit a 2.5″ visor opening. These parts have been made specifically to fit my helmet kits and electronics but may work with others as well.